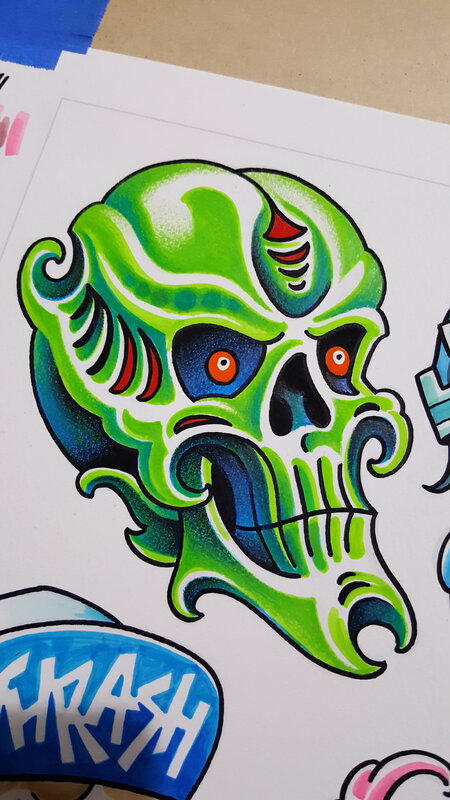 I'll have a new set of skull flash for sale soon. All these designs will also be available as tattoos. Check back for updates. 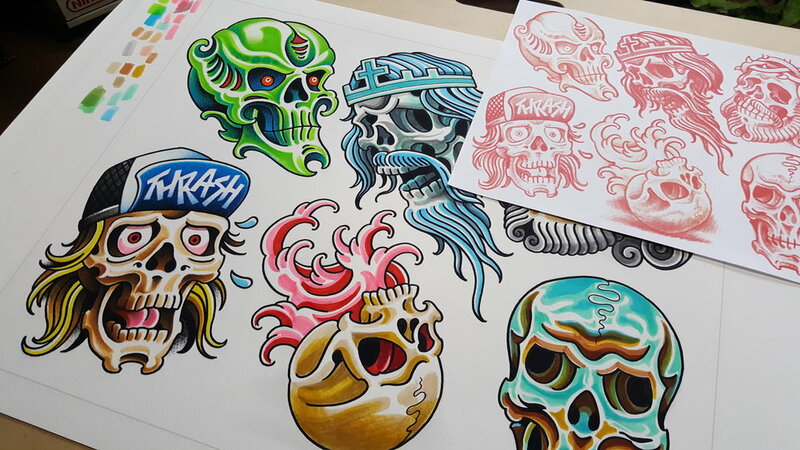 skull flash sheet in progress. Send me an email if you're interested in getting a skull tattoo! I have a new private studio in Austin TX called Speak of the Devil Tattoo.